For some people, a home is nothing more than a place to sleep on a night. For others, it’s a place to lovingly decorate, carefully furnish, and show off to their friends. There are, however, a handful of people who will never be satisfied with oak doors and deep, lush carpets. For these well-to-do home owners, architecture matters, and form is sometimes placed above function. Check out the following five strange – but gorgeous – homes. This gorgeous house in Angra do Reis, Brazil features a roof shaped like a giant flower with six petals. The house comes complete with a swimming pool and a small, stocked pond. The house has been designed to maximise free space, avoiding the waste of building hallways. The house is close to the beach, and has been designed so that the refreshing sea breeze can easily pass through. This interesting octagonal home can be rotated a full 360 degrees with the touch of a button. A full rotation can take anything from 30 minutes to a few hours. Geo-thermal heating keeps the house at a steady temperature, and, even more impressively, the cost of the project was on a par with the cost of a standard static home of the same size. You won’t find any oak doors or bay windows in this house. 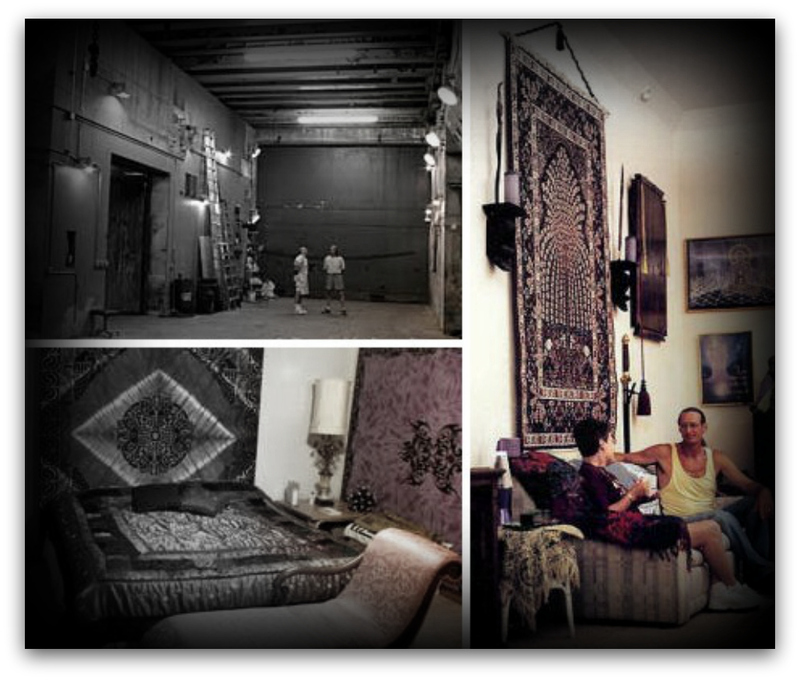 Ed Pedin purchased a defunct missile silo in Kansas in 1980s, and turned it into a home. One of the biggest challenges of transforming the silo into a house was pumping out the rain water that accumulated in the silo while it had been abandoned. Proving that Europeans have an eye for design, Antti Lovag created Bubble Castle, a bulbous compound that looks like a cross between an alien landscape and a field of mushrooms. With ceiling and wall window portals and curved walls, this interesting structure melds well with the rock outcroppings that surround it, and has already been deemed a historic monument by France’s Ministry of Culture. The Free Spirit Sphere is a spherical hanging living space. The designers of the spheres, Tom and Rosy Chudleigh, have built several spherical living spaces for customers from all over the world. The Chudleighs themselves have two hanging spheres on their property. The spheres come with plumbing, electricity, and insulation, and are big enough that they should be quite comfortable to sleep in. They do apparently rock in the wind, though, so they might not be the best choice for people who live on top of a hill. There are lots of unique homes out there. Some look quite cosy and comfortable, others might be a little too rustic for the average homeowner. We’re not likely to see a global move to rotating houses or rocking spheres any time soon, but there’s some great environmental lessons to be learned from these intrepid architects. If we can make the move to low impact living on a global scale, that will only be a good thing. This article was written by Amy Fowler on behalf of UK Oak Doors, suppliers of oak doors and skirting boards. Amy is interested in everything that's weird and wonderful!